Weddings at The Villas are a uniquely magical experience. 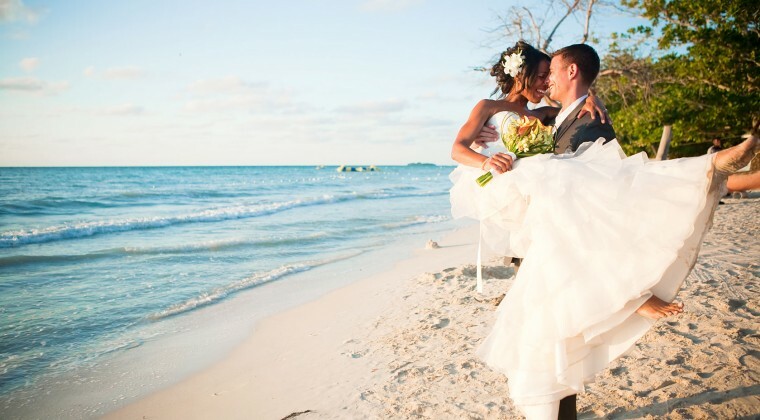 From intimate ceremonies for two to beach receptions for 100, The Villas has hosted hundreds of picture-perfect weddings. We are delighted to offer complimentary weddings at The Villas when you book a seven-night minimum stay in the Seagrape Villa with our Intimate Escape package. From colors and décor to the menu and music, we work hand-in-hand with you to ensure your special day is everything you’ve ever imagined. Our experienced, on-site wedding planner will work with you throughout the planning process, be available every day during your stay and oversee all the “big day” details. The free wedding includes the services of our on-site wedding planner, the ceremony, the license and paperwork, the officiant, and flowers for the bride and groom. We bring the same attention to detail to corporate retreats, seminars and small meetings. Please complete our request for proposal form online and we will be in touch shortly to begin planning an experience you’ll treasure.